Sole Technology answers to a greater calling - the future of action sports, humanity and our planet. The action sports industry appears to be a limitless frontier. Pierre-André Senizergues is committed to leading Sole Technology to the forefront of this industry worldwide. He knows this success will empower the company to positively impact youth culture, industry associates and society as a whole. This is the highly influential legacy Senizergues works every day to build. His ultimate goal is a company that is successful on the balance sheet, the streets, the slopes, the runways and ultimately on our amazing planet. An ardent advocate of the environment, Sole Technology is committed to environmental leadership. Waste is the enemy according to Senizergues, and he is leading Sole Technology's efforts to become one of the most ecologically sensitive organizations in the industry. 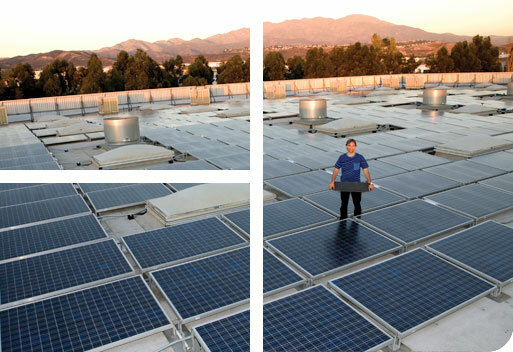 To date, the company has employed several environmentally friendly initiatives; highlights include the installation of an extensive solar panel system, corporate-wide recycling efforts, water-free urinals and dual flush systems to reduce water usage. Sole Technology hired the first ever Environmental Affairs Manager in the action sports industry and formed the Blue Bin Brigade, an internal committee whose goal is to increase awareness about the environment and find eco-friendly ways of conducting business in all aspects of the company. In 2008, the company conducted an eco-audit, looking at every angle with a strong focus on water usage, waste and consumption and carbon emissions, setting the precedent to becoming a carbon neutral company by 2020. While these efforts result in added manufacturing and hard costs for Sole Technology, Senizergues is steadfast in his insistence that the additional costs will not be transferred to the consumer. Sole Technology answers to a greater calling: the future of action sports, humanity and our planet.